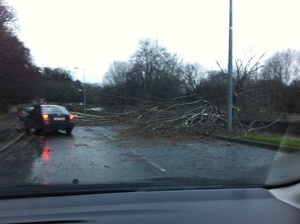 Tree down on Lower Dodder Road [Dublin]. 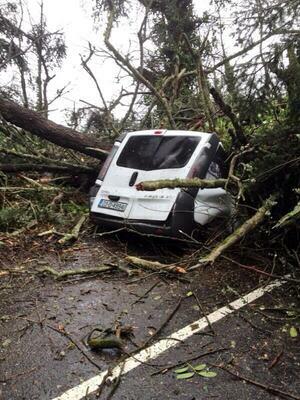 Pain in the hula-hoop if you’re using it to get to Rathgar area. 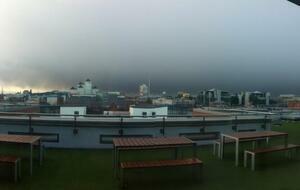 Probably the scariest picture you will see from Limerick in the wake of Storm Darwin. 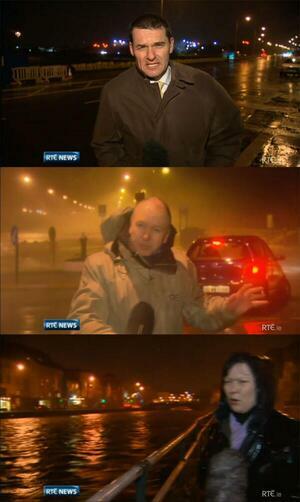 Knocklisheen road. No one in van at the time. Limited DART services are operating between Dalkey and Greystones. Dublin Bus are accepting rail tickets. 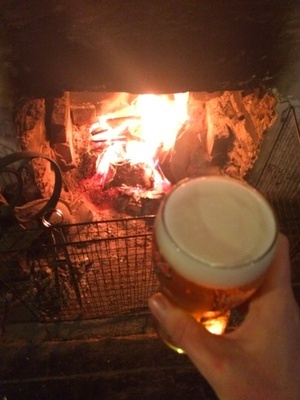 I’m heeding all advice on the stay indoors warnings… Thankfully the fire is on in the Man O’ War [pub] north county Dublin…. 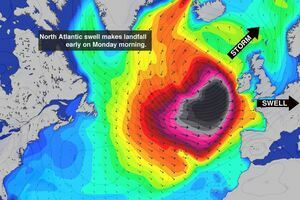 Posted in Misc and tagged commute, Storm at 5:09 pm on February 12, 2014 by Broadsheet.